Isaac Cruikshank, the son of a customs house officer, was born in Edinburgh on 5th October, 1764. He worked as an etcher in Edinburgh but at the age of twenty-one he moved to London. At first he found employment illustrating cheap books and chapbooks. On 14th August 1788, Cruikshank married Mary McNaughton. In the 1790s Cruikshank developed a reputation as an outstanding artist and was in great demand as a printmaker. Isaac etched the copper from his penciled designs, while his wife did the hand colouring and lettering. By 1808 the family moved to a large house in Dorset Street and had saved the great sum of £1,000. Isaac does not appear to have held strong opinions on politics and his prints appear to reflect the views of the person who commissioned the work. 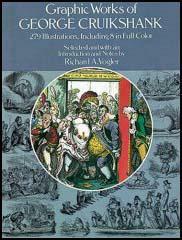 In some prints he praises the French Revolution and criticizes Pitt's attempts to censor the radicals, but in other work he savagely attacked reformers such as Tom Paine and Joseph Priestley. Most of Isaac's work was done for S.W. Fores who sold them at his shop in Piccadilly. Another important customer was the firm of Laurie & Whittle at 53 Fleet Street. 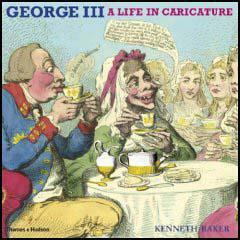 Cruikshank's great rival as a caricaturist was James Gillray, who worked for Hannah Humphrey in Bond Street. Cruikshank had ambitions to become a serious artist and had two paintings accepted by the Royal Academy. He also gave art lessons and one pupil, George Dawe, became a well-known artist. However, Isaac's greatest success as a teacher was with his own sons, George and Robert. 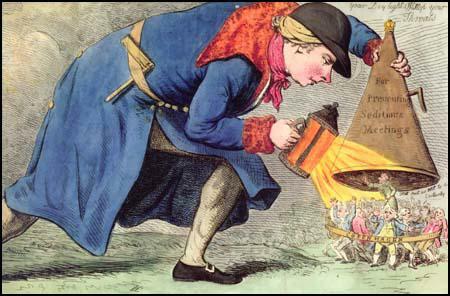 George Cruikshank became Britain's most important caricaturists of the 19th century. Isaac Cruikshank died in April, 1811. The death certificate gives the cause of death as "decline", which often meant tuberculosis. A friend, Samuel Redgrave said he died of the severe cold that winter but George Cruikshank believed that it was alcohol that killed him.